By Jake Rocheleau in Social Media. Updated on November 1, 2017 . Freebie PSDs are the norm amongst web designers. We love to share and the community is built around helping designers improve their workflow with pre-made graphics. There’s no need to reinvent the wheel in design, so it makes sense to use free kits for big projects such as iOS app GUIs. 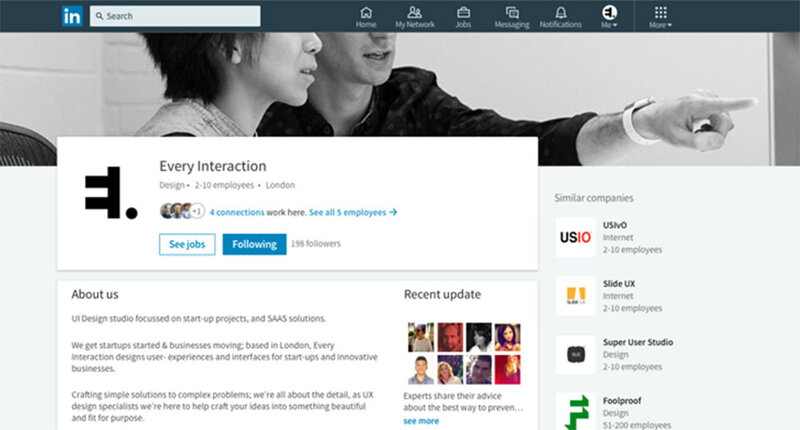 But, what about customizing social networking profiles? 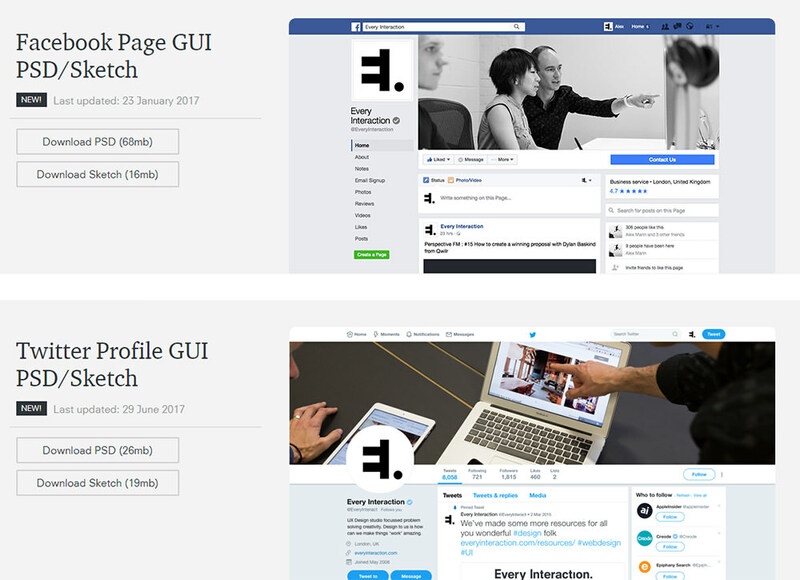 Well, thanks to the team at Every Interaction you can use these free profile GUIs to create custom page designs before launching live. I’m blown away at how many profiles are covered in this pack. Naturally, it has the defaults for Facebook and Twitter, since these offer the most customization. But, the set also includes YouTube channel pages and a LinkedIn company page template. All four of these networks let the user customize their avatar and profile banner on the page. With PSDs, you can test your banners before putting them live to see if they really match your page’s branding. And, each PSD specifies how big you need to make the banners for uploading to that particular network. Thankfully, this pack is fully up-to-date and it’s one of the most complete packs you’ll find on the web. Also, this set does include Sketch files too, so you can download the profile GUIs for either Photoshop or Sketch. Super convenient for designers who have made the switch away from Adobe’s software. You’ll also find a few iOS mobile GUI kits on this page, too. They’re great for app designers but you can find a lot of these out the wild. The real stars of this page are the custom social profile GUIs with fully-editable designs. Each one is pixel perfect and easy to use with clear layer names and organized avatar/banner sizes. To get a copy for yourself, visit the Every Interaction resources page and download whatever you like!